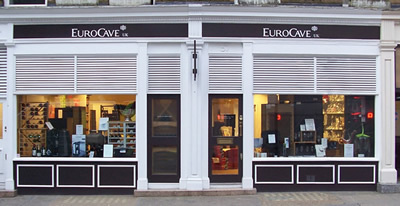 Through a constant evolution and development of products for 40 years EuroCave can offer the professional a fantastic range of products built for and adapted to the requirements of professionals and their working environment and can be found in many leading restaurants and hotels. Products designed and manufactured in France are the result of a skillful marriage of technology and modernity from ergonomic handles, dedicated functions to sliding shelves for ease of access during service, all built to withstand the rigours of the environment. A wide range suited to all uses: single temperature/storage cabinets, service cabinets, by the glass solutions, racking and preservation of open bottles.